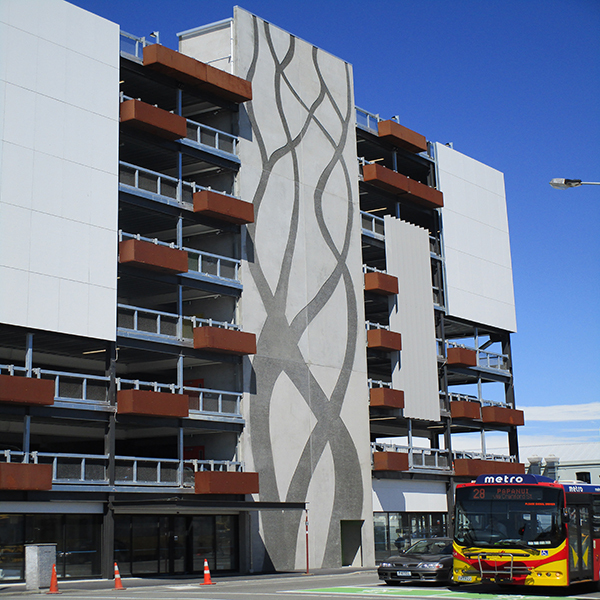 Engenium | One of the first multi-storey car park buildings to be built in post-earthquake Christchurch, parking for 349 cars is provided over 14 split-levels. 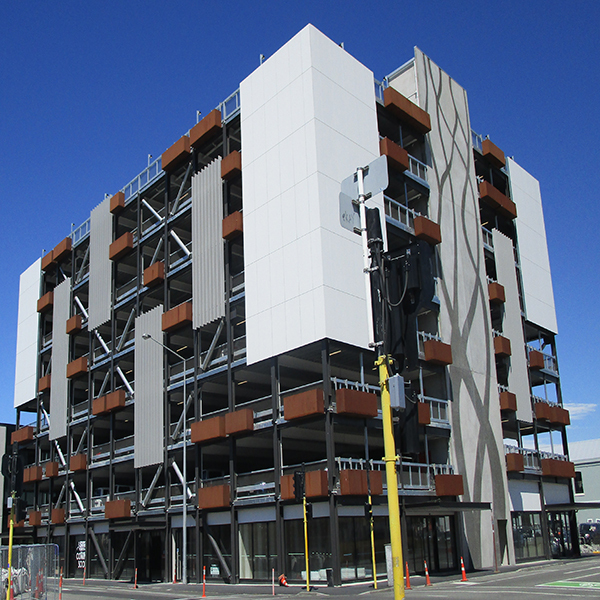 One of the first multi-storey car park buildings to be built in post-earthquake Christchurch, the Villa Car Park provides parking for tenants of the 'Christchurch Innovation Project'. The Villa Car Park is located on the corner of Lichfield and Madras Streets in the Christchurch CBD. Parking for 349 cars is provided over 14 split-levels. The ground floor consists of retail premises onto the street frontages. Engenium also carried out the architecture on this project. Planter box gardens, advertising screens, and patterned precast concrete panels were used to add to the visual appeal of the structure.